After Monday night’s lesson, we were delighted to come home to two compliments from happy students! It had been a sweaty session with lots of sparring and a fast pace as always. To come home to words of praise is really rewarding! We are highly rated by our students! 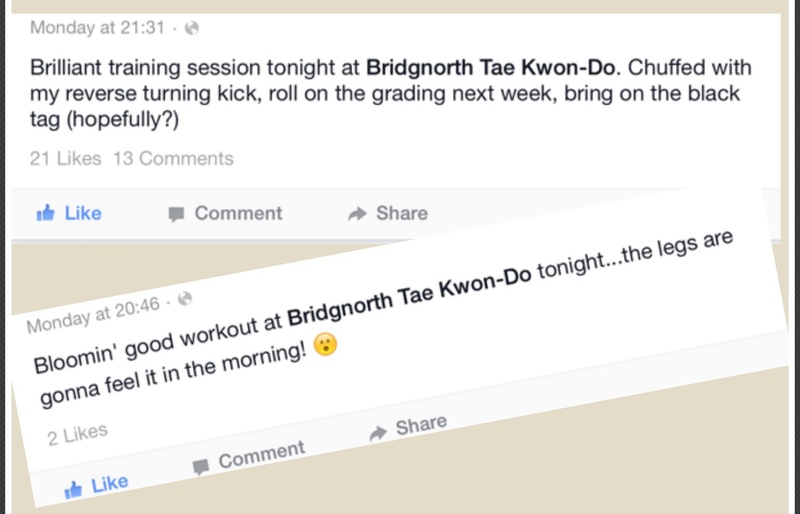 This entry was posted in Training Diary: Mum vs Ninja on September 5, 2014 by bridgnorthtaekwondo.